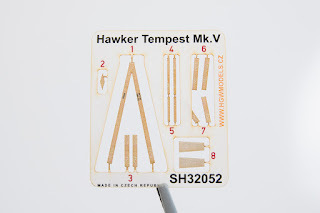 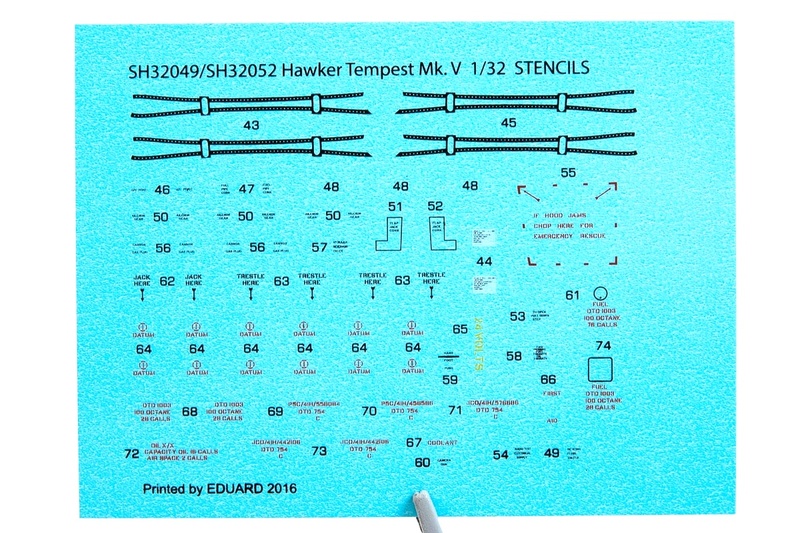 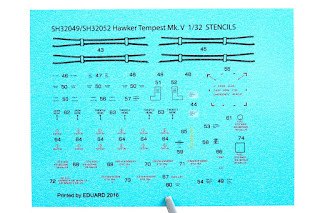 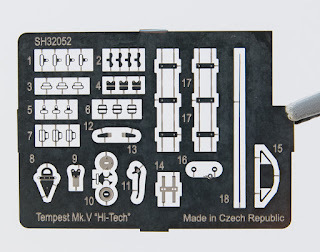 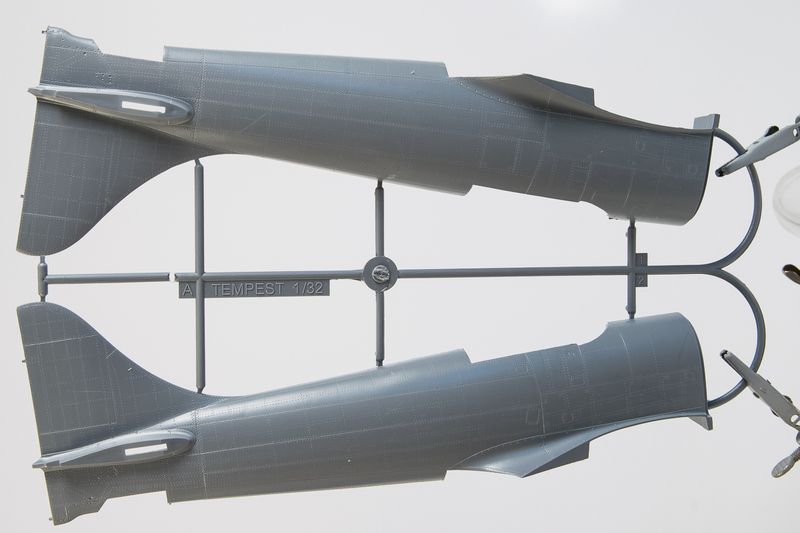 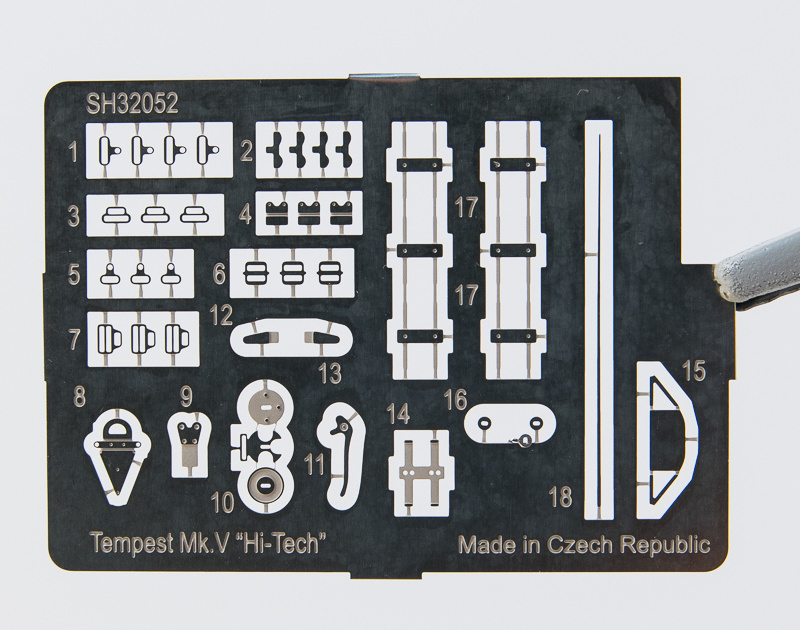 The Hi-Tech Tempest Mk.V (kit no SH32052) which was a new item for the last year, attracted immense attention of the modeller and got sold out quite swiftly. 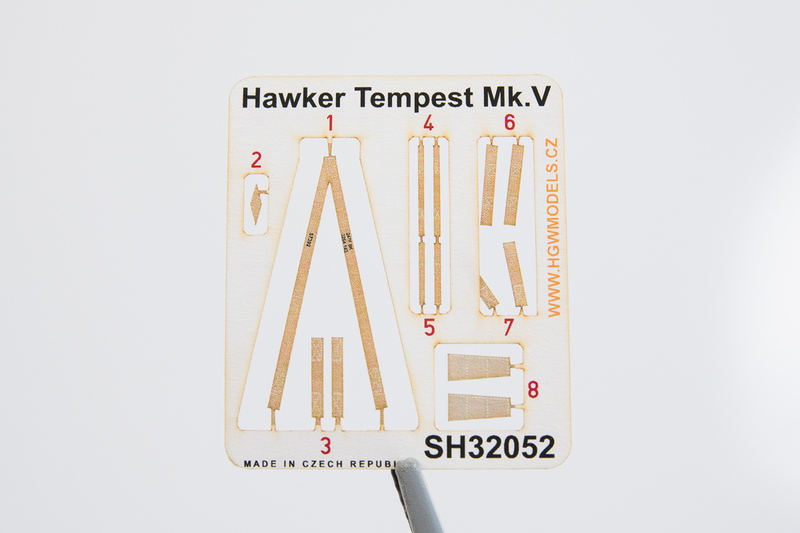 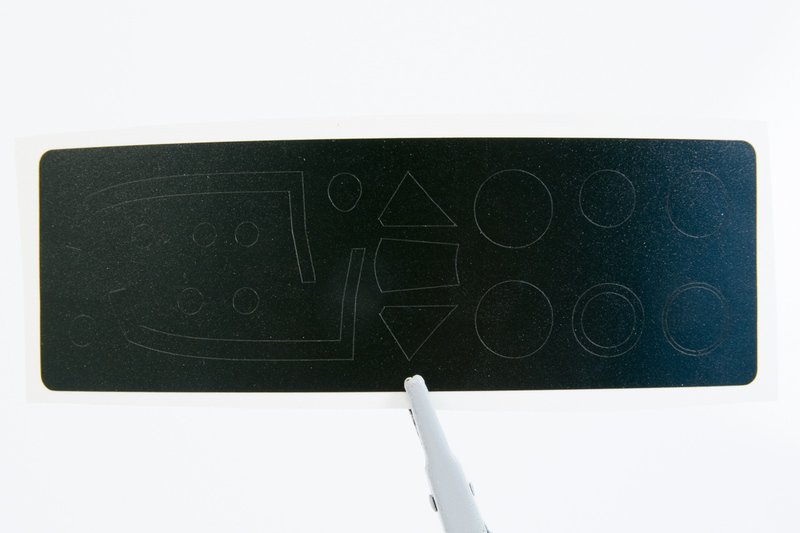 Bearing this success in mind, we decided to try and make the Hi-Tech format model available once again. 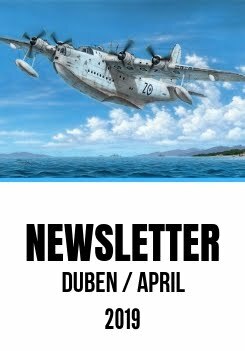 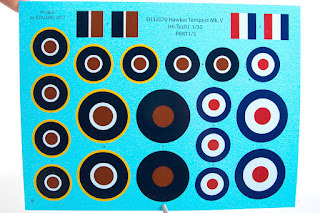 But, as one cannot obviously step into the same river twice, we rather opted for a new release bringing you in this SH32070 Tempest Mk.V kit also new camouflage scheme options. 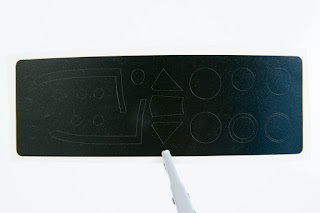 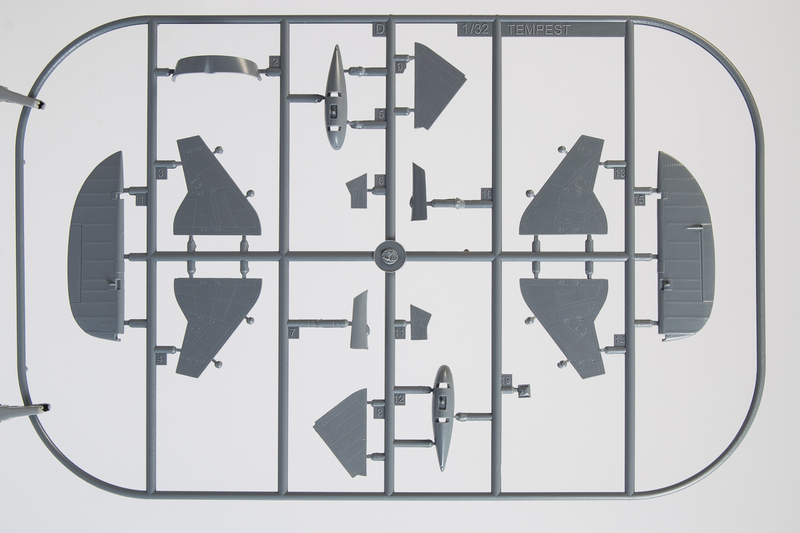 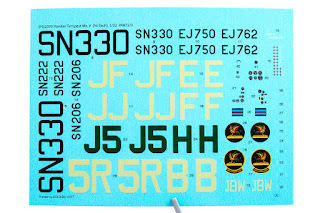 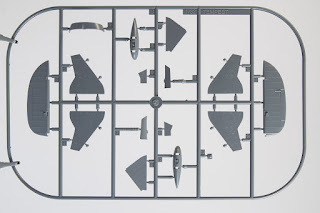 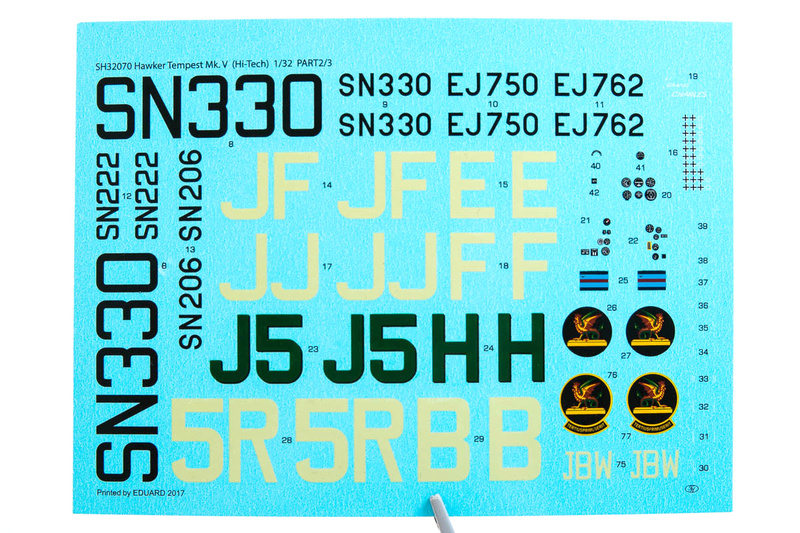 The good stuff of the original release remains the same, ie the etched parts, HGW fabric seat belts, resin parts for both the cockpit and exterior surfaces of the model and also as many as three decal sheets. 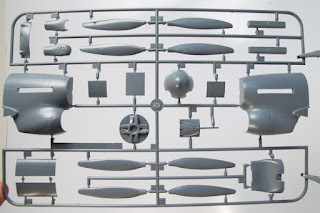 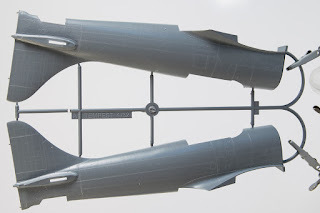 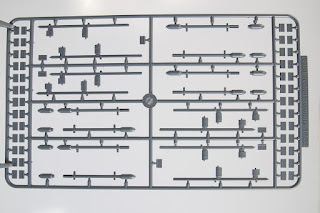 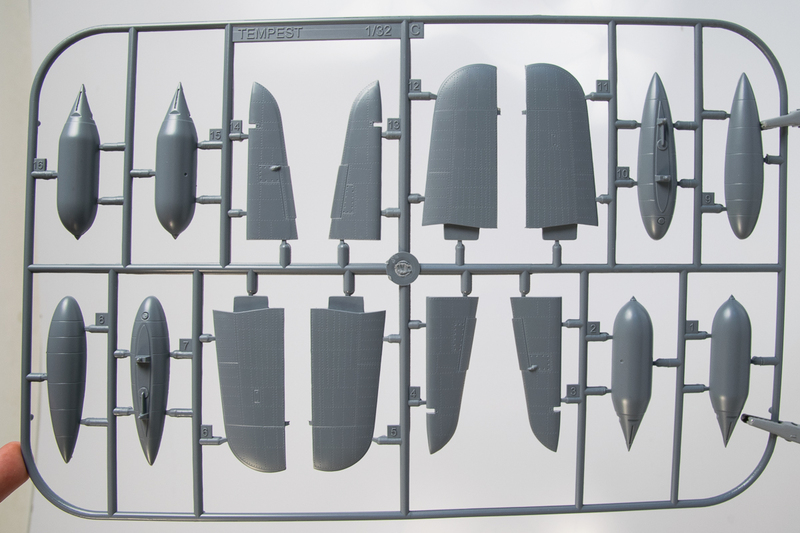 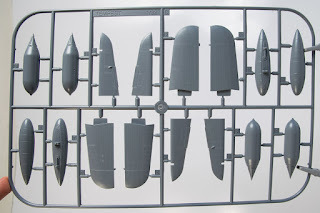 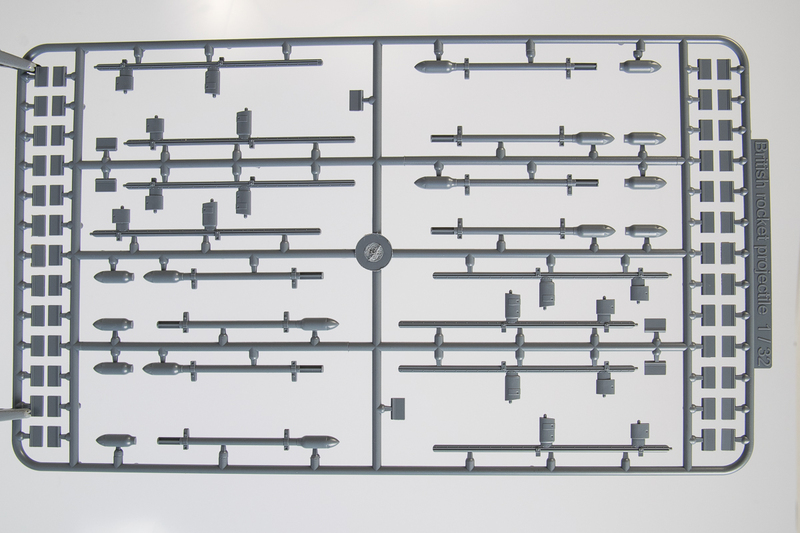 On the top of it all, the modeller will also get a new frame with rocket projectile replicas which is an option for one of the camouflage schemes. 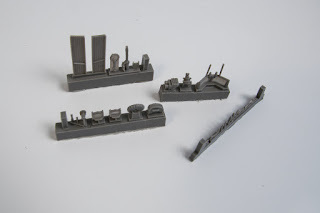 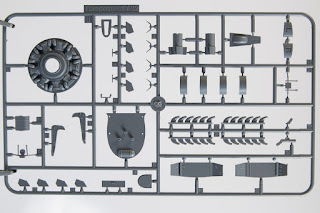 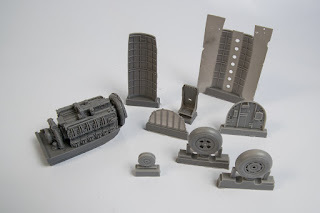 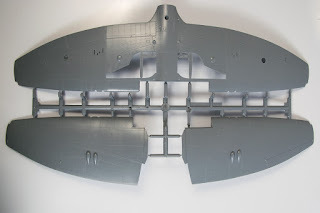 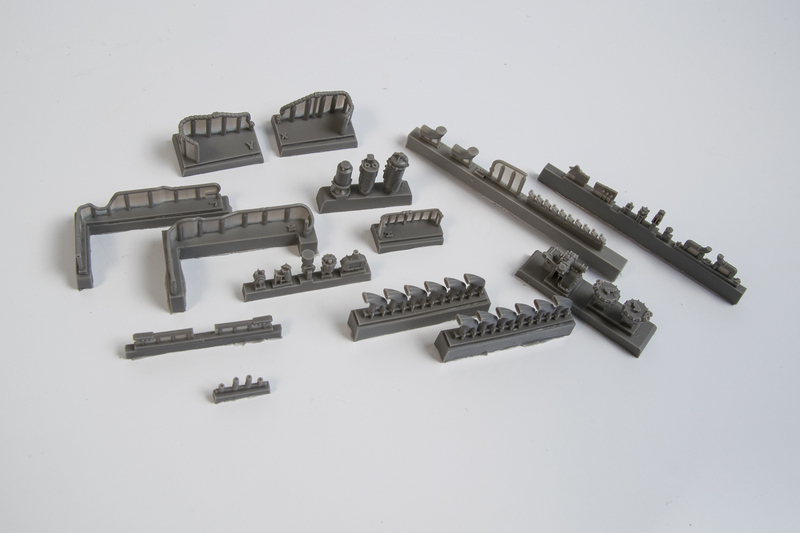 The main alteration, however, is the addition of the resin cast parts for the upper section of the power unit, the Napier Sabre engine and its cover panels. We can assure you that this engine is really turning the kit into a luxury item. 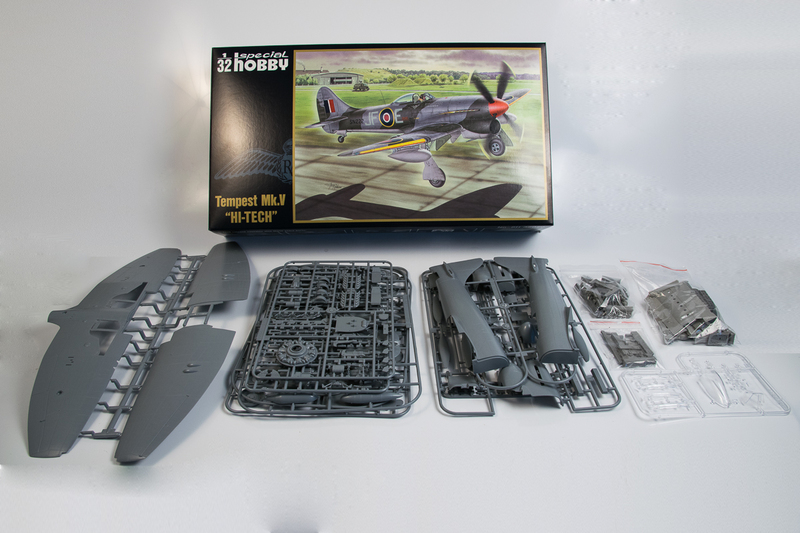 The first Tempest kits were just being packaged while we visited our colleagues in the packaging room last Friday and during this week, we plan to send out the models to our distributors. 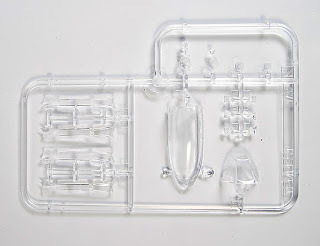 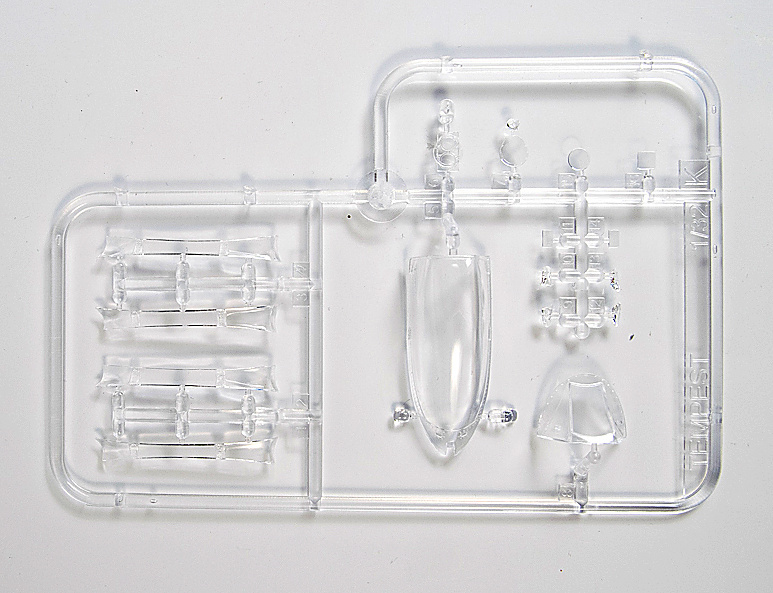 Now please take a look at the bellow attached photos to get some idea of the content of the kit and also of the packaging itself.